Don't be misled — this is not the album to listen to while finishing your Christmas baking or while trimming the tree. This isn't Burl Ives, nor is it Nat King Cole. 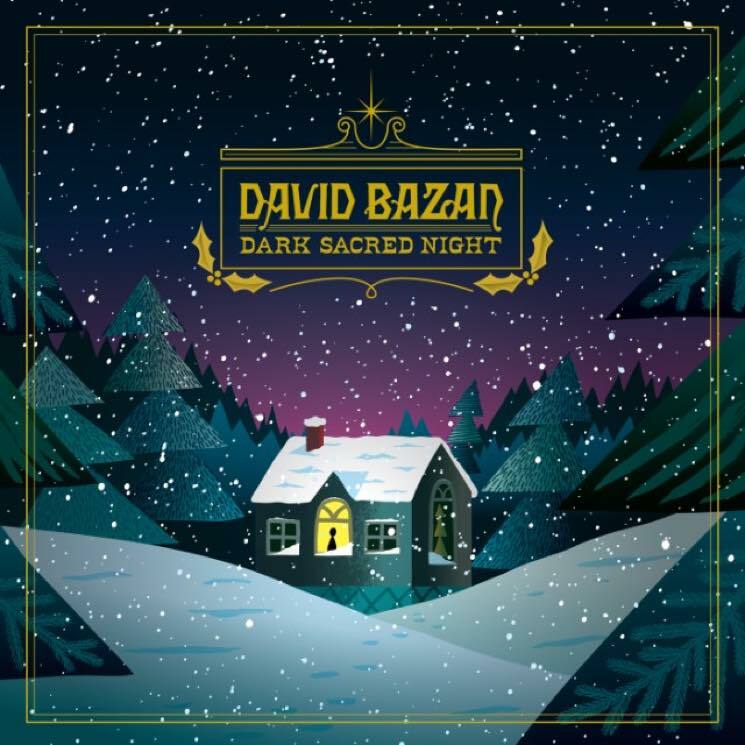 This is Seattle native David Bazan, and with his experiences, you can bet on a provocative and inspiring, if at times dark and solemn, collection of songs, Christmas album or not. Bazan describes the impetus for the songs as follows: "There is something dark and underrepresented in Christmas music, and that's just how uncomfortable the holidays can be for a lot of folks." Dark Sacred Night is a compilation of Christmas-themed music plucked from Bazan's time with Christian rock/indie outfit Pedro the Lion as well as from his various solo forays. The compelling part is that some of these songs were written and/or recorded when Bazan was a practicing Christian, and some after he had denounced his faith — roughly around the time of his first full-length solo record, Curse the Branches, in 2009. The album doesn't break new ground from an instrumentation perspective, sticking mainly to guitar/piano/vocals and the odd flourish of bells or reverberation, but it's in the lyrical content and the vocal delivery where the album really bears fruit. There are a couple of no-frills standards on here, such as "Away in a Manger" and "O Little Town of Bethlehem," that mirror the original versions, but Bazan chooses to customize the lyrics on a couple of other tracks, including "God Rest Ye Merry Gentlemen" ("Sipping Christmas whiskey, wondering if I still believe") and "Silent Night" ("Isn't it strange how many were beaten and maimed...in this baby's name?"). There's a version of John Lennon's "Happy X-Mas (War is Over)" on here, as well as a beautifully poignant carol based on Henry Wadsworth Longfellow's poem "Christmas Bells," called "I Heard the Bells on Christmas Day." Bazan also covers Minnesota band Low's "Long Way Around the Sea." For the final track, "Wish My Kids Were Here," Bazan tells the story of a father who, for legal reasons, is unable to spend Christmas with his children, a very personal song on an album that otherwise deals with more universally existential themes.